NaNoWriMo is an international novel writing challenge which originated in the US and challenges the participant to complete 50 000 words in the month of November. That is 1667 words per day. It is the ideal platform for aspiring writers who have tons of ideas, but just never managed to put them down on paper. It forces you to switch off your inner editor, put your OCD and perfectionism on the back burner and get that dreaded first draft done. 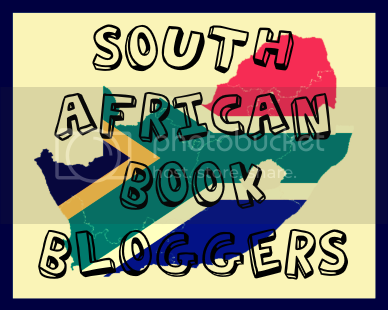 So I heard about this on Twitter and then again from the Pretoria Writer’s Circle (we went for a visit to decide whether we want to join, and yes we are joining from next year – short stories here I come). Needless to say it was a sign. I have had a number of stories float around in my head and with recent work related frustrations I decided to join up for my own sanity and for moral support – as you all probably know my girlfriend, now wife (we got hitched the weekend :P), is an aspiring novelist. Due to this commitment I might not get around to reading as much, although there are two reviews finished and ready for publishing this month. I know, I know, I should really optimise the reviewing process by actually writing the review and publishing before starting the next novel. Alas, life happens. So I decided to also share my NaNoWriMo experience with you in the hopes that it might ignite some long lost passion for writing within you. Down to business. Week 1 of my NaNoWriMo adventure was very exciting. We had a Pretoria kick-off meeting at the beautiful Botanical Gardens where we met a lot of fellow writers all ready to suffer with us. A few were from the Pretoria Writer’s Circle and even an old friend I last saw years ago. When Sunday (1 Nov) came around I started off with no plot, no structure and no idea where this is going. Not the best place to start if you ask me. However, everything worked out and by the end of the week I had a better idea of what my novel would be. There is something you need to understand about me. Something I need to make clear. I’m not a sociopath or a psychopath. I don’t have an overwhelming desire to hurt or murder anyone. I don’t have some Dark Passenger like Dexter and I don’t operate on a strict code of ethics. But when I snap, you better run. You better run as fast, as quick and as far as possible, because when the darkness within me is unleashed you don’t want to be near me. Let alone the reason for it. So I hope you understand me when I say, I kill because I love it, I kill because you have wronged me and I kill when there is no other way. This week was a hectic week for me. I had family dinners, birthdays and my own wedding. So the fact that I got any writing done was amazing. I’m rather proud of my efforts and my total word count for the week: 5 744. This is by no means the best word count as my wife managed to put down an impressive 11 000 for the week with everything else we had to do. I think I might be shamed, but there’s always next week. I’ve added a NaNoWriMo progress bar (on the sidebar above the reading challenge bars) to keep you apprised of my progress, which I’ll try to update daily when I remember. Otherwise check in on Twitter where I’ll modestly brag about my progress. * NaNoWriMo logo image courtesy of National Novel Writing Month. ** Image used to design novel cover from Flickr Hive Mind. I claim no rights and only used it for illustrative purposes for myself. Should I ever publish this novel I will redesign the cover. No copyright infringement intended. I am going to try my best to write some interesting ones and I’ll consider publishing them on the blog. I must say it is a challenge to write a full length novel. I think I would much rather prefer doing short stories or novellas. I take my hat off to all authors!